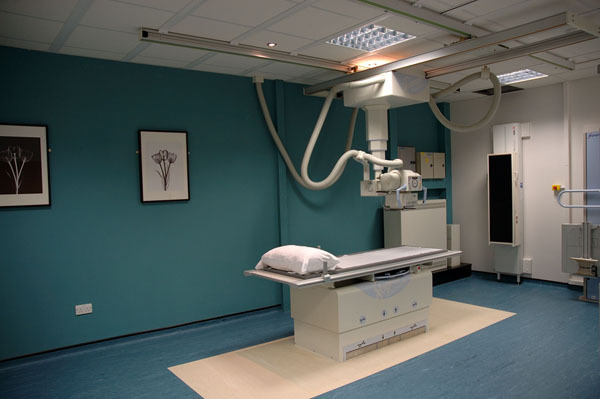 J. M. Dolan & Co. Ltd. supplies a wide range of accessories and support equipment covering Personal Protection, X-ray Shielding Products, X-Ray Viewers and Imaging Accessories for Diagnostic Imaging, Therapy and related areas. We also provide a Complete Radiation Shielding package from design, through manufacturing, installation and post-contract support. This includes X-Ray shielding for Diagnostic Imaging departments, radiation shielding for Nuclear Medicine facilities and RF Shielding for MRI installations. We recently introduced a new service to undertake turnkey projects involving pre-installation works for Radiology Departments. The installation of specialist X-ray ceilings and general refurbishment of X-ray rooms is a feature of this new service. We can match profiles and finishes of non X-ray protective works in adjacent areas without losing the integrity of the protective shielding. All lead protective screens, lead glass, and lead doors are purpose made to suit exact requirements. Our technical staff are always pleased to discuss your particular project and advise on the most cost efficient method of shielding. The quality of our products and services is guaranteed. We will be pleased to illustrate and discuss our product range with you. Should you require further information please contact our office where we will be delighted to assist you.